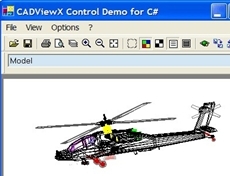 CAD Viewing in Total Commander for free! Plugin is free for home using only. Companies should buy the plugin. 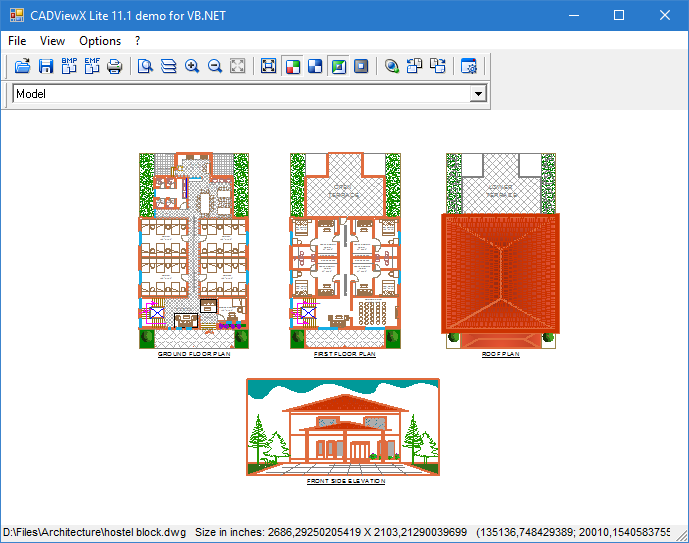 AutoCAD DWG, DXF 和所有版本 DWF. Hewlett-Packard HPGL: PLT, HGL, HG, HPG, PLO, HP, HP1, HP2, HPGL, HPGL2, GL2, PRN, SPL. 支持 SHX –字体，包括 UNICODE 和 BIGFONTS. Supporting SHX-fonts, including UNICODE and BIGFONTS. Dynamic scaling of the drawing with the help of the mouse-wheel, like in AutoCADTM. ‘Find text' and ‘Show point' and ‘Show rect' quickly link to the necessary part of the drawing. Preset sizes for standard formats (ISO-A; DIN: A4, A3, A2, A1, A0; US: A, B, C, D, E). High-quality prints can be made of color drawings using a black-and-white printer without grey tones. Printing ‘in tiles' allows printing images on any number of sheets of any size with the necessary scale. For example, large images (A0, A1 etc) can be divided into many small pages of a different size which can be later put together into one big drawing. Any ‘tile' can be printed separately. Therefore, if one page seems defective (e.g. because of some problems with the printer), it is possible to re-print this page separately. Microsoft Windows 98 /Me/ NT 4.0 / 2000 / XP / 2003 / Vista / 7 / 8 / 10. Pentium 233 MHz (Recommended: Pentium 500MHz). 64 MB RAM (Recommended: 128 MB RAM).